The Unangan and Alutiiq live on Kodiak Island and the lower part of Prince William Sound, in what is now Alaska. 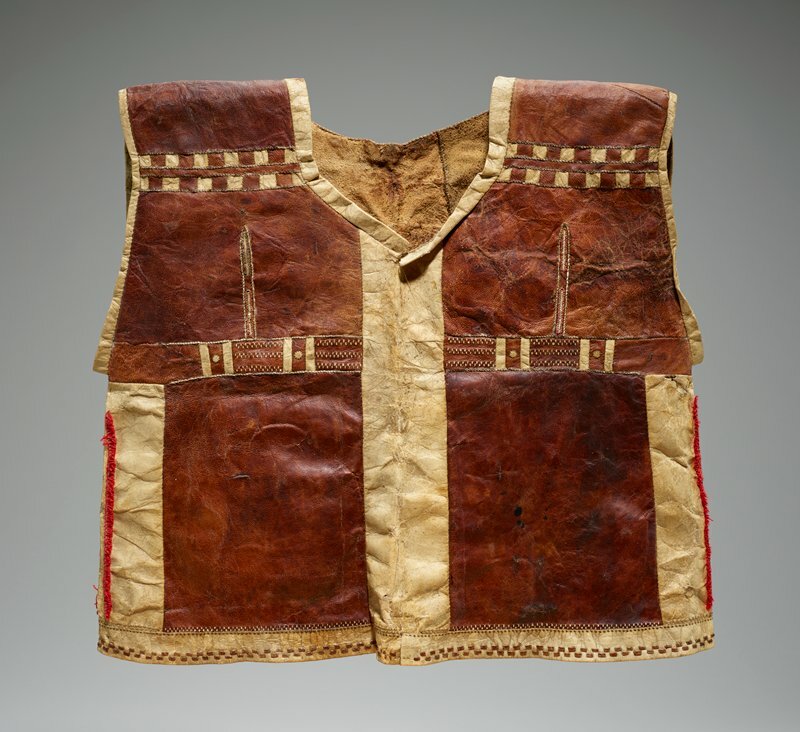 The woman who made this vest in the early 1800s used materials available in the Arctic, embellishing the basic sealskin garment with red trade wool, bird quills, membranes that add color and texture, and other animal and bird parts. The zigzag designs on both sides are made from bird quills sewn onto the hide with sinew. This small vest was probably worn by a child, most likely for celebratory occasions. It is a rare item. The only other known vest in this style is now in the National Museum of Finland.